I consider Andy Beal to be the "Godfather" of online reputation management (ORM). His talk at Search Engine Strategies in 2006 was what really got me interested in the subject. The book he co-authored with Dr. Judy Strass, Radically Transparent: Monitoring and Managing Reputations Online is one I consider to be the textbook for those who want to get started in the practice of ORM. When I saw Andy had a new book out, I definitely wanted to check it out. How to weather an online reputation crisis. This is a great guide for individuals or those who run small or medium-sized businesses. For those who are already ORM practitioners, Repped has a lot of great tips and ideas that will help you do your job better. Your reputation will only ever be as good as your character. ... It’s the same with your reputation, but that’s something you can use to your advantage! ... keep in mind that by simply being a better person, a better company, a better non-profit, you’ll automatically start to improve your reputation. If you spend the time to take an honest look at the way you conduct business, it should become apparent where you are weak. If you find yourself struggling, then ask others for their thoughts. Your employees, coworkers, customers, or business partners can all provide an impartial opinion on where they feel you are most weak. This is very important. Trying to manage your reputation when you have terrible products and/or services is pointless. Use what you learn online as you work through the ORM process to improve yourself or your business offline. You probably recognize at least one of the above marketing slogans. Coca-Cola, L’Oreal, and Avis have all spent a lot of time and money to ensure that their messages are stored away tightly in the recesses of your brain. Knowing where, when, and how each message is shared on the web is a priority for each of these corporate giants. 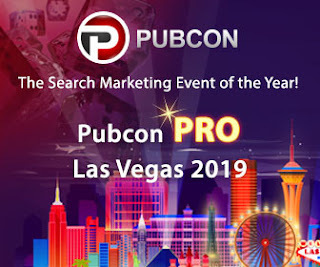 Likewise, if you have a marketing message, tagline, or other slogan that is tied to your brand, you should include it in your online reputation management efforts. Good point. Sometimes detractors can use your tag lines and catchphrases for the purpose of maligning your brand online. Hire employees that really want the job. Hire those that are passionate about your industry. Hire those that love what you do and will take a social media bullet to defend your online reputation. Then, empower them. It’s amazing how one member of your team who cares (or doesn’t care, as the case may be) can have a tremendous influence on your online reputation. Everyone is a brand ambassador! This is key. It’s hard work to hire well, but it can pay off dividends in many areas ... not just in ORM. Your online reputation is always changing, sometimes growing, sometimes shrinking. Merely posting a couple of items and calling it a job well done is naive at best, and risky at worst. By continuing to share valuable and insightful blog posts, tweets, and updates, you grow your audience. You nurture your centers of influence. Goodwill is earned when you unselfishly look to help those in your centers of influence. It’s earned when you tweet the post of an existing customer. You bank goodwill when you help one of your peers out by giving their latest video a thumbs-up. Goodwill also increases when you spend time sharing great content that doesn’t benefit you in any way but adds to the value of your stakeholders. Most stakeholders who attack your reputation want just one thing: an apology. Saying “I’m sorry” has repaired many damaged reputations. These two phrases: "Sorry" and "Thank You" are key in ORM. Learn to say them! I once sought out a Trackur fan at a conference and specifically stopped him to thank him for all the retweets and social sharing he does of our online content. I’m likely not the person Andy is referring to, but I can personally vouch that he is a very gracious person and is very quick to say "thank you." This does positively affect his reputation both online and offline. Andy’s not just telling you what to do, he lives this stuff. The time to influence a customer review is before that customer ever gets to the computer. If you’re not interacting with your customer before they’ve completed their transaction with you, then you’re playing Russian roulette with your ratings. I like to say, “Nothing happens in a vacuum.” What happens offline affects what happens online and vice-versa. It’s a continuous cycle. ... it’s important to be proactive in building your Google reputation. In the absence of any positive content you’ve created, Google will fill the void in its search results with anything that it finds relevant - even if it is something negative. The best defense is offense and taking the time to mold your reputation now will better prepare you for when your reputation comes under attack. And it will come under attack. This is VERY important. It’s much easier to weather an online reputation crisis when you're on a strong foundation. Repairing - Don’t underestimate how much time and money you will have to spend to clean up your online reputation. Many online reputation firms charge in excess of $10,000. Yes! Bravo to Andy for bringing this up. It’s a hard question to ask, but very, very important. This question reflects attitude - and if you’re just looking to get rid of the “problem” you’re not going to fix the underlying issue ... and not fixing the underlying issue will cause you a lot more problems down the road. Being proactive is important as well. "You can pay me now, or you can pay me later." 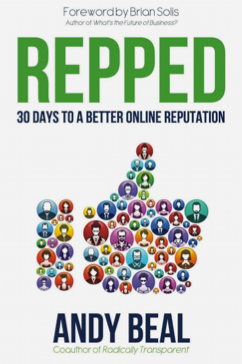 Repped: 30 Days to a Better Online Reputation (Amazon Affiliate link) by Andy Beal - a great guide to ORM for individuals, those who run SMBs or those who wish to improve their online reputation practice skills.